And I would like to add that you absolutely must be there early for the gig. As a band leader, I am frequently frustrated when I ask musicians to be ready for a sound check at a particular time and folks are still arriving and getting their stuff in order when it’s time to start. Often the sound check is the only chance one of my groups will get to “rehearse” a chart before the gig (we sight read on the show a lot). I don’t want the audience to hear the “sausage being made” because we’re still trying to get the mic levels set and practice that tricky passage before the show. And use it. Often times I hear musicians, particularly student musicians, tell me they already know what I asked them to mark. Or sometimes they tell me they are confident they will remember. That may be true, but we all have mental lapses and it’s best to be safe than sorry. And if that doesn’t convince you to properly mark you music, consider that sometimes players have issues that require a sub to play a rehearsal or performance for them. If your music isn’t clearly and cleanly marked your sub will not have a chance. Be prepared. This goes to jazz rehearsals too. I don’t feel it’s cool to jam on someone else’s changes between charts and show off how hip you are. It’s also rude to hog solos. By all means, if you’re not blowing many solos on the gig and want a chance speak up at the rehearsal and ask for one if something gets opened up. Sometimes the band leader will be receptive if you jump up and blow a chorus when it’s not specifically asked for in the chart or fill in behind the vocalist, etc., but remember that other folks like to solo too and if you’re already blowing a lot on a gig or rehearsal that those times are better for giving other folks a taste. Check out more common sense, but often overlooked, advice for how to behave in orchestra rehearsals here. If you enjoyed Lloyd Leno’s film, Lip Vibration of Trombone Embouchures, you might like watching a cymbal filmed at 1,000 frames per second. We put a Carnegie Hall orchestra in the middle of New York City and placed an empty podium in front of the musicians with a sign that read, “Conduct Us.” Random New Yorkers who accepted the challenge were given the opportunity to conduct this world-class orchestra. The orchestra responded to the conductors, altering their tempo and performance accordingly. While the title is 7 Surprising Qualities of the World’s Best Improvisers, I don’t think any of them are really all that surprising. Still, it’s a great read and worth a look. And finally, I was just talking with fellow trombonist Alan about this video of Tommy Pederson performing Flight of the Bumblebee. In The Modern Conductor Elizabeth Green offers some exercises to help conductors keep gestures along the correct horizontal and vertical plane. 3. Move outward in straight line. 4. Stop: Order palms to face front. 5. Palms face outward all the way. 6. Return on straight line to diaphragm. 7. Reset hands and repeat. 1. Arms hang full length at side. 2. Palms toward the rear. 3. Raise arms vertically, hands hanging down. 5. Palms to front, fingers point straight up. 6. Down in straight line to lowest point. 7. Hands point up all the way. 8. Reset hands and repeat. I had the honor of sharing the podium at a recent concert with Dr. Bill Bryant. During our warmup I noticed him with his wrists connected with a rubber band. He explained that this was an exercise he picked up to do something similar to the Green exercises, keep your hands in the correct plane for conducting. Here’s a short video of him demonstrating. About a month ago I posted a new resource I discovered that I recommend for music educators called FreeMusicEd.org. The podcast covers some great topics, such as iPad and iPhone apps for band directors, dealing with limited instrumentation, brass mouthpieces, marching band arrangements, and much more. Stephan Cox, the brain behind FreeMusicEd.org invited me to come onto the podcast and interviewed me about a number of my favorite blogging topics, including teaching jazz improvisation, brass embouchures, teaching composition, and other odds and ends. It was a great time talking with Stephan and he was an excellent host who asked great questions. The podcast is now live and you can download it here or by searching for FreeMusicEd on iTunes (best to type it in as one word to find it easily). Be sure to go through and listen to his other podcasts and poke around the website some too! Putting together a concert or set list is as much an art as performing the music in the first place. If you’ve never programmed a concert or chosen a set list for a band to perform, the first time you do this can be a challenging experience. However, if you approach it with the right attitude it can be a fun and creative venture. While there are many approaches to how to select music for a performance (or album project), here are some of the basic rules of thumb that I personally use to select a program or set list. It’s tempting to sometimes look for neat pieces to perform and simply throw them together, but sometimes this makes for a performance that is too redundant. As you start thinking about which compositions to include you want to think about whether there is enough variety to be interesting without getting disjointed. One thing that helps me to organize a concert or set list is to think about certain key points in the performance that I’ll want to program something specific. For example, here is a generic outline for a set or concert including 8 compositions (well, 9 actually, but that’s with an encore) that might go about an hour. Opener – Something exciting and accessible for the audience to get everyone settled in and in the mood for the performance. I almost always like to segue directly into at least the next piece (and sometimes the next two pieces) without pausing for announcements. Lower the intensity – Frequently I’ll put in something slow and lyrical here, but sometimes I’ll instead program something just less intense than the opener and save the lyrical piece for third. For example, in a big band set I might program a bossa nova here and then follow with a ballad third. Other times I’ll program a ballad here and save the bossa nova for third. Keep the intensity simmering – See #2 above. It’s worth changing styles here and having some ebb and flow to the second and third pieces, but don’t get too exciting here. Save it for later and it will have more of an impact. Something weighty – If you’re going to program something that is not as accessible as the rest of the set or concert, this is a good place to do it. Don’t do it too late or else your audience will be less attentive. Something accessible and fun – After challenging your audience you want to reward them with something easy to listen to. In a big band set, for example, I might program a funk or rock chart here. For a concert band or brass band performance I like to put something pops oriented in here. Lower the intensity a bit again – After #5 calm things down a bit with something that will help you build to the peak that is your final piece. Build intensity – Not too much, save it for the closer. Something that is lighter in style or familiar to your audience is good. Closer – A final piece that ends with a bang. Something familiar to your audience can be good here, but sometimes I prefer to program something that the ensemble really enjoys playing more than worrying about the audience. 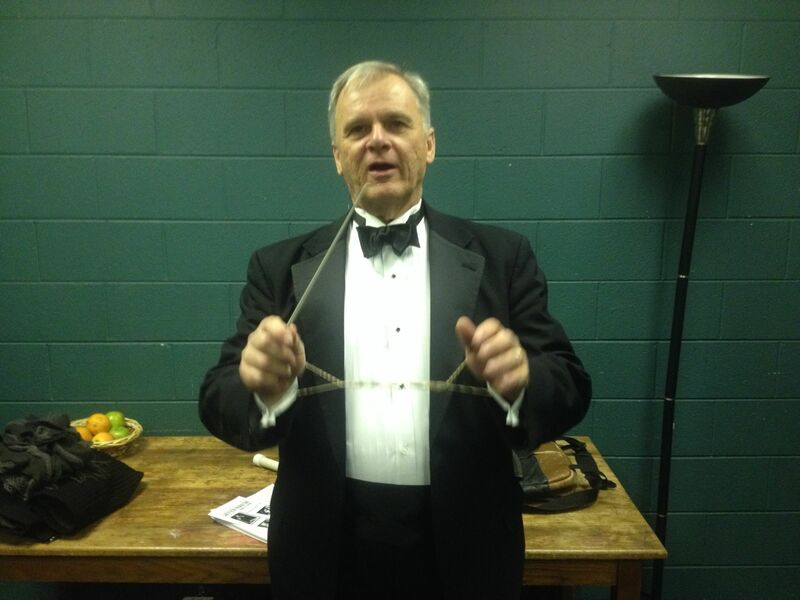 Encore – I like having encores in my concerts and final set. If there’s a particular piece that your audience is waiting for, this is a great time to program it. With an outline like the above in mind, I’ll start going through the music library and find pieces that can fit these different roles and start placing them in order to see how I imagine it will sound. That’s not to say that you need to stick to this guide absolutely. As you find pieces that you want to perform you’ll discover different ways that you can play around with this programming concept. For example, the Stan Kenton Live at Redlands University concert starts with a ballad, rather than a barn burner (check out the introductory clip of Kenton explaining this decision on that link). Your main concern really shouldn’t be plugging in music, but that you’re pacing the performance in an interesting and enjoyable way. I’ve already alluded to this above, but you will want to think about your target audience and what they want to hear. That’s not to say that you need to “sell out” and only program music that is familiar or popular. Some audiences are particularly hip and some performances cater specifically to an educated audience while others are going to have a mix of people, maybe leaning towards patrons who are attending on a whim. For example, consider the difference between a concert at a contemporary music festival and an outdoor concert just before a fireworks display on Independence Day. You can’t program one like the other without disappointing and alienating your audience. As your thinking about what pieces you want to perform you need to think about the capabilities of your ensemble. Do you have a section in the group that is particularly strong or have some outstanding soloists you can feature? Do you have a weaker section or a budding soloist that you can challenge a bit for improvement without getting too difficult (particularly important if you’re working with a student ensemble)? How difficult will brass parts be? Will your brass players have chops at the end of the performance? If the closer is particularly rangy for the brass consider programming a piece or two just before that are easy on the brass players so they can rest a bit and get ready to blow hard on the final piece. Be sure to program something purely for ensemble enjoyment, regardless of how you think it will go over with the audience. I feel that when the band really is having a good time it rubs off on the audience, even if the piece might go over their heads, as long as you don’t overdo this. I like a wide variety of music and prefer to program a lot of different types of pieces in my concerts and sets. Along with considering your audience, stick in some pieces that will appeal to the high-brows and find something that the Philistines will enjoy too. Again, make sure that your ensemble is having fun and being challenged as well so that their energy feeds the audience’s. When I’m putting together a set list for a big band, for example, I keep each set to about 8-10 charts because I know that that will take about 45-60 minutes to perform (obviously you have to adjust if you know something is particularly long or short). Programming for a concert band performance, in contrast, is a little more tricky because pieces can have different lengths. I will usually write down the approximate length of time each piece takes to perform and add them up, allowing for time between numbers. If you’re going to make announcements during the performance consider how long it will take to get through them. Personally, I think the maximum length of a performance without an intermission should be 75 minutes. Any longer than this and you should split up your program into roughly half and stick in an intermission. If I’m programming a concert with an intermission I try to go 2 hours maximum (including intermission), and closer to 90-105 minutes if possible. Club gigs are a bit different as you usually have a set amount of time to fill. A typical approach is to play for about 45-50 minutes and then take about 15-20 minutes for a set break. If you’re filling a two hour night, for example, you can play for 50 minutes, take a 20 minute break, and then come back for a final 50 minutes, give or take. Learning how to pace a concert or set list is a skill much like learning to compose or arrange a piece of music. It’s actually pretty easy to practice this by putting together a playlist for your MP3 player. In fact, if I’ve got recordings of all the pieces I’m thinking of programming I’ll sometimes do this to see how the performance will feel after listening to it all the way through. You’ll get a great idea of how the flow of the music fits together and sometimes catch some odd things about your program that you might not have noticed otherwise. For example, is the last chord of one piece the same as the first chord of the next? Are the tempos of two consecutive pieces too close for variety? Do two consecutive pieces feature the exact same soloist? When you discover things like this it doesn’t mean you need to change your order, but it might inform how your introduce the pieces during the performance or whether you’ll segue directly into the next number without any introductions. A lot of this is pretty intuitive for many people and I know many directors who have their own philosophy of how they program concerts. There are many different ways to think about music selection and sometimes special events require a different approach. If you have a guest soloist, for example, you’ll need to program around the soloist. A themed concert celebrating a particular composer or event can be a fun way to build a program too. Study programs and albums you really enjoy and see how the flow of pieces fit together and borrow what you can from those. Do you have any additional thoughts or disagreements? Please share your ideas in the comments here.